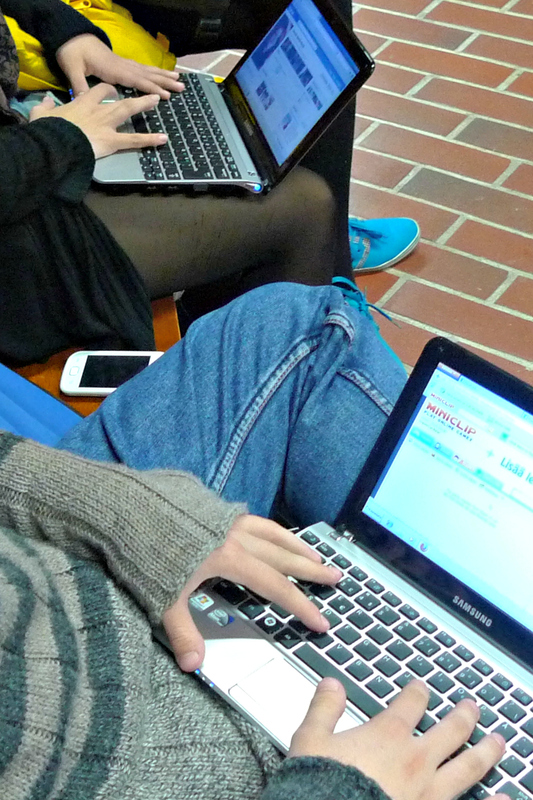 lost in translation: To limit, or not to limit technology use in the classroom? To limit, or not to limit technology use in the classroom? I used to be very pro-technology, and tried to incorporate up-to-date digital content into my English lessons. But, to my horror, more and more often I find myself wanting to follow media guru Clay Shirky's surprising decision to ask students to put their technology away in class. First off, from my own experience, I have realised that multi-tasking really is a myth. If your job is to truly learn something, or accomplish a task, you will need to focus! Gadgets on the desk are too tempting, and greatly distract students from focusing on the tasks at hand. Secondly, when we are trying to learn a foreign language, where communication and social interaction plays a huge role, why should we practise this with screen barriers between us while we are in the classroom together? Surely, it's more productive to talk face-to-face, maintaining eye contact and focused presence. And thirdly, students get enough "tech time" outside the classroom, so it's not healthy for them to spend their whole school days as well, glued to the screen. Having said this, I believe extending lessons with relevant online work for homework is often a good idea. But, as always, there's the other side of the coin. Today's teens find it harder and harder to tolerate old-school "hard work" learning. They need ever-changing activities and flickering screens to get involved. This is where technology comes to our rescue. Pacing a 75-minute lesson with some online activities provides a welcome change in the working rhythm. A case in point is the recent hype about Kahoot, and no doubt it does instantly hypnotise a whole classroom into short snacky-type activities. Here is what I blogged about this energising effect of Kahoot in more detail earlier. Yet, you can only use it so much with any one group. The "seen it, done that" syndrome soon hits in, and we teachers are left hunting for the next temporary online remedy. Maybe this is the future of education - teachers' job consisting more and more of curating different applications to keep their students on task? Unfortunately, for the time being, we are still missing attractive and engaging enough game-based programmes and applications, to facilitate, for example, individually adaptive grammar learning. Consequently, many teachers already burn out under this pressure, spending all their time fishing the net for the next great app. We should get language teachers and cutting-edge professional game designers together to develop these! I do believe that we teachers are also entitled to a life outside school, irrespective of whether we see our job as a vocation or just a job. There must be a golden half-way measure in all this frenzy until pedagogically sound and user-friendly online learning applications are widely available. At the moment, I balance my lessons with a hybrid approach - tasks where all gadgets are put safely out of sight and reach, and others where laptops, tablets and sometimes even smartphones are in active use.